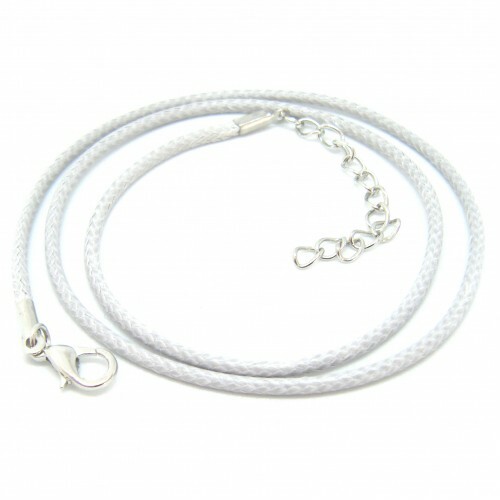 1.5 cm x 2.5 cm. 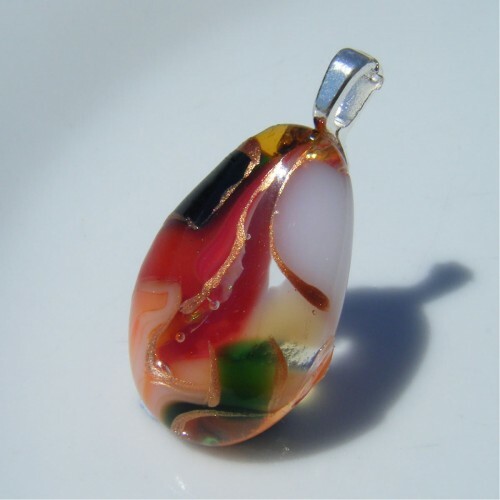 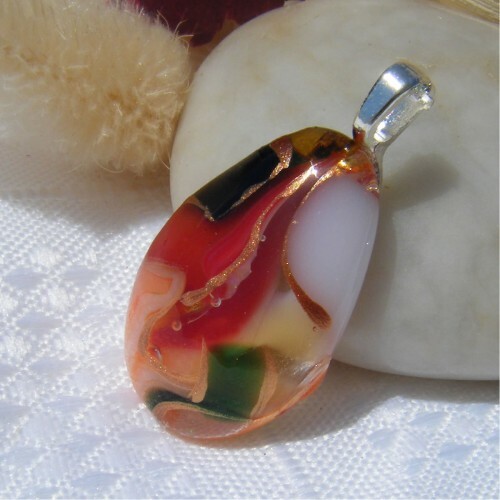 a variety of coloured glass gently fused together to create a pendant which is pleasing to the eye. 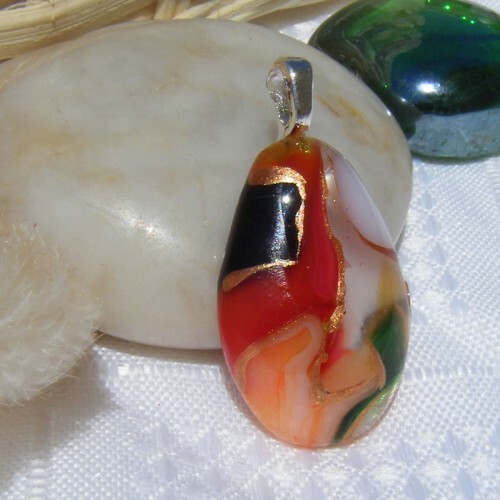 The colours are then enhanced with a permanent gold accent paint. 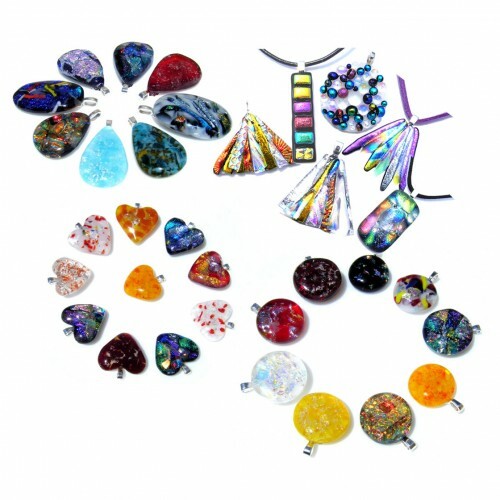 Handmade and hand-painted in my small studio using a fusing kiln and glass grinder. 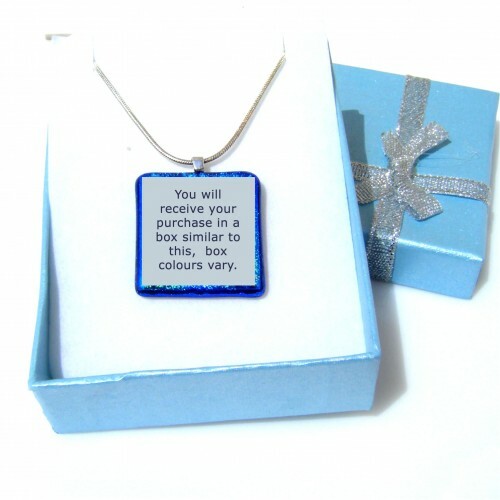 Complete with a silver plated bail, silver coloured extendable cord necklace and pretty free gift box.